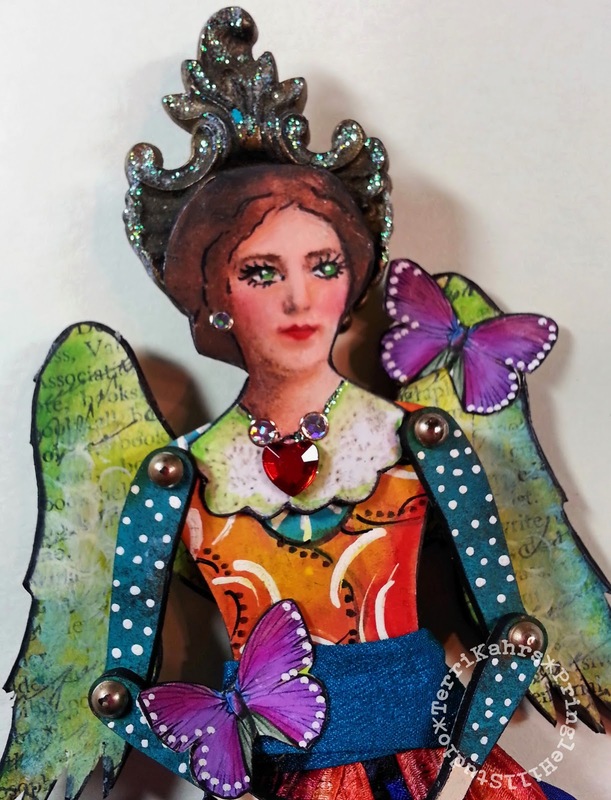 Pringle Hill Studio: Art Doll - "Angel of Color"
Art Doll - "Angel of Color"
Since the beginning of the year, most of my art time has been spent working in my "Documented Life Planner". We just finished Week #12, and I'm proud to say that I've managed to stay disciplined for the past few months. That's quite an accomplishment for me, since caretaking for family has limited the time spent in my studio over the past two years. 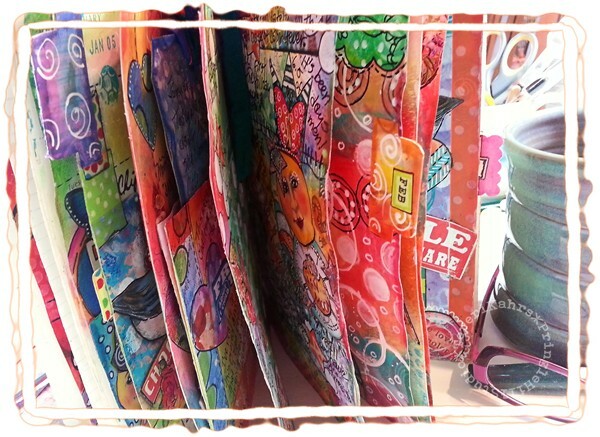 However, as much as I've enjoyed journaling in my Moleskine planner, when I saw a few art dolls created by friends, my imagination soared to new heights, and I couldn't resist ordering a few 'blanks' from Retro Cafe Art Gallery. I think these little dolls might become an obsession. 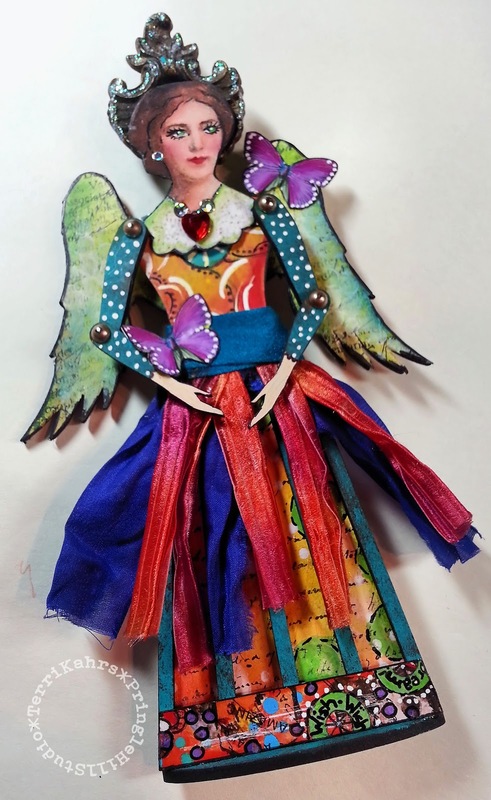 This doll gave me an opportunity to spread new creative 'wings'. 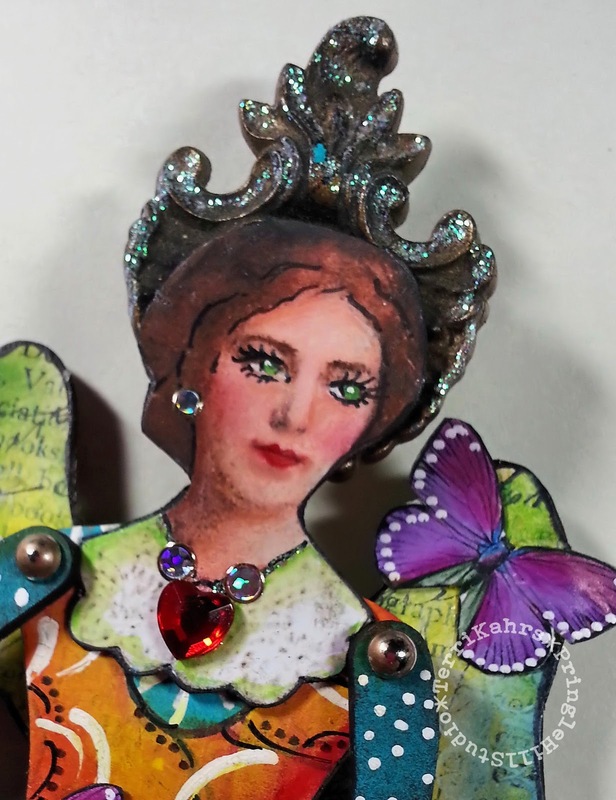 Old bits of backgrounds, sari ribbon, jeweled bits and an antique escutcheon were used to create this little angel - a tribute to my love of color. If you're interested in creating a special doll, check out Retro Cafe Art Gallery's extensive selection of 'blanks'. My angel began with a medium Santos doll. And, if you DO happen to order, please tell Kristin Hubrick that "Terri sent you!" 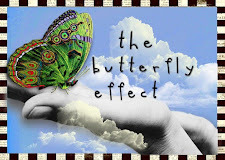 If you'd like a peek into my DLP journal, click here to see more. The link will take you directly to my FLICKR set so you can see all of the pages. May your day be filled with laughter and color!!! This doll is beautiful Terri, I love what you have done with her , your usual attention to details just makes her so special. She is beautiful Terri and the very epitome of colour! So fun, Terri. OK, i"m ordering one. Been thinking of this for some time. Great job....as usual. She`s gorgeous, Terri! So beautifully created. She's lovely Terri, and your DLP book looks amazing! Okay you GOT me! I ordered a few things from Retro Cafe' to try my hand at...we'll see!